Galatasaray’s hopes of bringing Jason Denayer back from Manchester City for a third time were boosted late in the transfer window when the 23-year-old turned down a move to Leeds United. According to Turkish portal Fotomac, the City defender was offered the chance to join Marcelo Bielsa’s Leeds project, but turned down a move to Elland Road because he wants a return to Galatasaray, with whom he won the Turkish Süper Lig last season. City are not short of interest in the 8-cap Belgium international, with former loan side Celtic the latest to be linked, but his insistence on returning to Galatasaray is complicating matters. After four loan moves, the Blues want to sell Denayer for €10million (£9million) but frugal Galatasaray prefer him on a third loan deal, or potentially a cheaper permanent move. 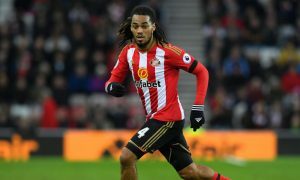 It is reported that the Turkish champions are willing to wait until 31 August to get Denayer on their terms, and City may have to find a compromise unless they can convince Denayer to accept a move to another club after he rejected Leeds. Denayer is under contract at the Etihad Stadium until June 2020 and is not a part of Pep Guardiola’s plans, meaning an exit for the defender before all of Europe’s transfer windows close is one of Txiki Begiristain’s remaining priorities this summer.